It can be tough to get by as an SME. You don’t have the capabilities that big businesses have, which can sometimes feel limiting. However, there are also plenty of advantages available to you, and ways to avoid those limitations. An extensive IT infrastructure might seem out of your reach as a small or medium business, but it doesn’t have to be. Outsourcing your complex IT infrastructure makes it much more accessible to businesses of any size. There’s great value in outsourcing your IT, both monetarily and in other ways too. If you’re considering a more effective way to manage your IT infrastructure, take note of these benefits of outsourcing, particularly when your business has complex needs. As your business grows, the amount of technical information you have the time and capacity to understand can get smaller. While you might feel competent and capable with your IT needs when you first launch your business, you can soon begin requiring to expand into more complex infrastructure. You might understand the basics of what your business needs, but that doesn’t mean you have time to become an expert. You have a business to run. When you outsource your IT infrastructure, you can ensure you have expert help to meet all your technical needs. Umbee Limited can take care of everything for you, providing you with advice and all the help and support your business needs. As your business’s IT infrastructure starts to get more complex, it can get costly to manage it on your own. You might look into buying servers or hiring new staff to manage different aspects of your technology needs. It can be hard to control how much you spend with so much going on. However, when you outsource, you can have much better control over your expenses. 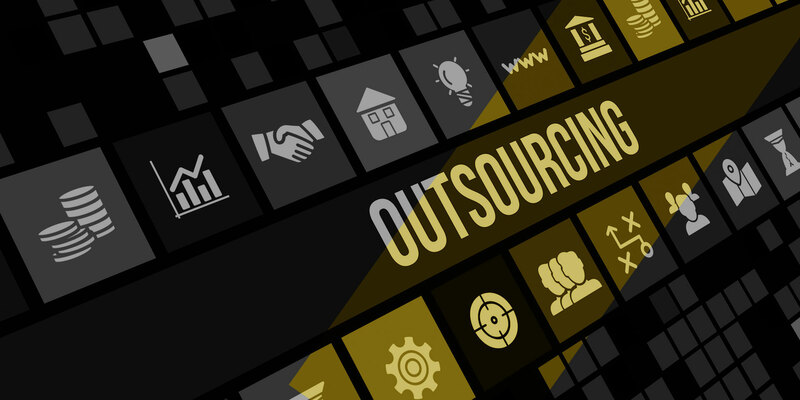 Outsourcing allows you to find the service that comes at the right price for your business. You often have the choice of paying a set fee each month for a certain number of services or hours. You can save by using cloud services and remote hosting so you don’t need to invest in expensive equipment. When you outsource your IT infrastructure, you can use remote hosting and cloud services to save space. IT equipment can take up a lot of space in your business, which either means you have less space to use for other things or you need to pay more for your business premises to expand the amount of space you have available. Servers and other large items need to be stored correctly. You also need to think about your IT staff, who need places to work. If you choose to outsource your IT infrastructure instead, you can claim this space back. Technology develops quickly, and your business needs to keep up if you don’t want to fall behind your competitors. Of course, when you’re running a business, you’re much too busy with other things to pay attention to what’s going on in the tech world. Fortunately, when you outsource your IT infrastructure, you don’t need to do it yourself. You can trust the experts to stay up to date with what’s happening and the latest developments that you should be implementing. From the large shifts in the industry to the small changes and updates, you can be sure it’s all taken care of. No one who runs a business wants their whole day to be consumed with dealing with tech issues. You want to be able to get on with what matters most so that you can grow your business and continue to make your customers happy. If you can find an IT service that you trust, you can hand over the day-to-day running of your IT systems and concentrate on running your business. You don’t have to worry about things going wrong and rushing to correct problems before they have an impact on your operations and your reputation. When you have IT experts watching over your infrastructure, you reduce the risks that your business faces. You will have people looking after your needs 24/7, reacting to any changes, whether expected or unexpected, as quickly as possible. Reduce the risk of downtime and the problems that come with it but having backups in place, automating processes and keeping everything up to date. Outsourcing your complex IT infrastructure provides a host of benefits for your company. You can improve how you run your business with the right outsourcing partner.